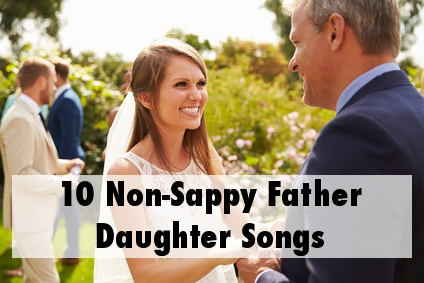 Choosing from all the father daughter songs out there can be quite daunting and just listening to most of them can have you in tears! And it is not even your wedding day! 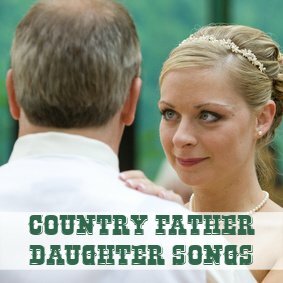 What are some suggestions for father daughter songs that are not sappy and overly sentimental? You may want to dance with your daddy without having everyone reaching for their tissues, or you just want something that is a little happier and more up beat. 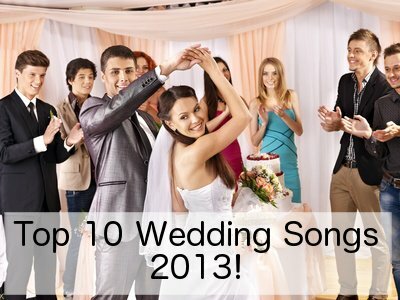 Most traditional father daughter songs can make a lot of brides (and guests) gag as they are so over sentimental. Some brides love that, but some do not. If you or your dad are Elvis fans, then this is a great choice. It is not one of the traditional father daughter songs that speak of a little girl growing up, but talks about being there for one another - just what a daddy should be for his children. A slow, but not overly sentimental song that is about encouraging somebody to chase their dreams, face their fears and to find love and give it all away. 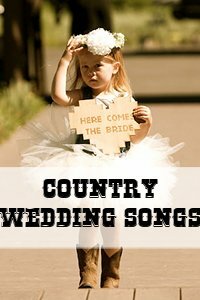 Definitely not over used (and perhaps never even heard) but definitely worth the listen as an option for your father daughter dance. If you are looking for a song that is classy, then you cannot go wrong with something from Frank! 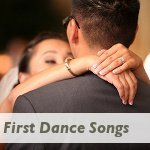 This little song is perfectly upbeat and which bride does not want to be remembered with a smile the way she looked on her wedding day? This quirky little song will creep into your heart. Most people will know it from the movie "Knocked Up". It is up-beat and pays tribute to everything a dad has contributed to the woman his daughter has become. Tom Petty's music has always given me a feeling for freedom and that is also echoed in this gorgeous little song where he says: "you belong among the wild flowers, you belong somewhere you feel free". For lovers of Indie music this little number from Ben Folds might just be what you are looking for. It is sentimental, a little funny at times but never soppy. 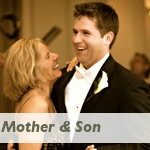 A jazzy number that is actually a love song, but the lyrics work perfectly well for a father daughter song. A father's love for his daughter is steadfast and unchanging. Also keep in mind that dancing with you dad for the full 4 minutes (the average length of a song) might seem like an eternity. Ask your DJ if it is possible to cut the song sometime after around 2 and a half minutes. A good DJ will be able to fade in a new song without it sounding like the song has been cut short. If that will not work in your particular case, then choose a shorter song!